I am James Curry I am 17 years old turning 18 in December this year. 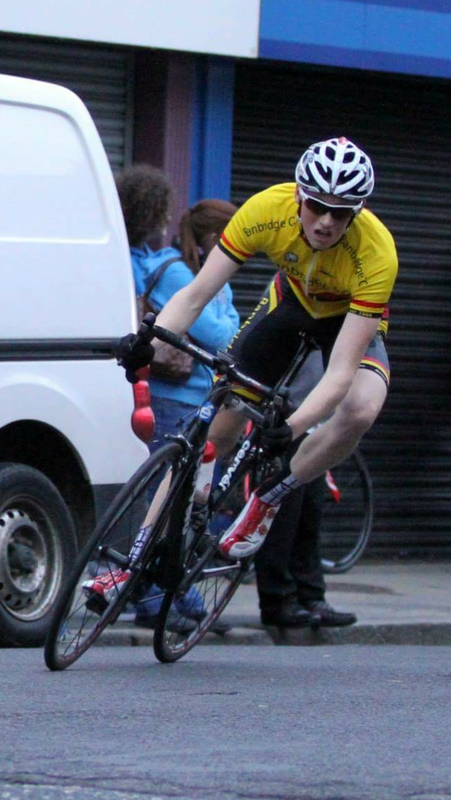 I currently ride for my local cycling club Banbridge. My sponsor is a local bike shop, Lakeland Bikes, without their help it would makes things a lot more difficult. I started cycling because my father was always a keen cyclist racing open road races. I then wanted to follow and do what he did. I started cycling when I was 7 years old. I never really raced competitively until I was 12 years of age. I played rugby before I started cycling. This game then got too rough as I started getting older. I didn't have the build to be a rugby player so I opted to completely focus on cycling. I do all 3 disciplines specialising in MTB. I do cyclocross in the off season for a bit of fun and will contest the National Cyclocross Champs in January. I also do road during the MTB season and pick and choose which races I want to do. I take all 3 competitively and enjoy all aspects of them. They are all very different and that's why I do them all. I own 4 bikes 1 XC MTB, 2 road bikes and one cyclocross bike. My favourite piece of cycling kit is my Oakley sunglasses. I hate riding my bike without glasses. There is nothing worse than getting a fly in the eye. My greatest achievements on a bicycle in 2015 was becoming Irish National Junior Cyclocross champion in January of 2015. During the summer of 2015 I also became Irish National Junior MTB XC champion. To top this of I represented Ireland at the 2015 World MTB XC championships in Vallnord Andorra. I have a few cycling heroes the main two being Nino Schurter and Andy Schleck. Nino is my favourite cross country MTB rider his style and hard work is second to none and I want to strive to be like him. I love Andy for his climbing abilities I used to watch him on TV when I was younger and always wanted to be like him. He is a great team player and had great sportsmanship. My favourite training route always involves climbing. I live on the foot of the Mourne mountains, this suits me perfectly. We head straight for the hills and descend down to the coast. We then ride along the coast to arrive at my favourite coffee shop Niki´s. They do great coffee and their buns are fab. I like most music on the charts. I like the new Adele song Hello. Music keeps me motivated while training. I like having up to date clothes. I hate walking around in an old pair of trainers or an old hoody. It looks bad. I like to look descent. My plan for the future is to get onto a professional cycling team either road or MTB based. I would take either I love both. I would love to complete at another World and European Championships too.